Greetings of Peace: Salaam, Shalom, God Bless, Namaste, Sat Sri Akaal, Jai Jinendra, Alla Abho, Hamazor Hama Ashobed, Jai Swami Narayan, Yali Madad and every way I can greet you. Unity Day USA is about coming together as Americans and expressing our innate desire to rededicate our pledge; one nation under god with liberty and justice for all. Unity Day USA is about coming together as Americans to appreciate, respect and honor the God given uniqueness to each one of the 297,018,658 of us. Unity Day USA is born to express that each one of the 297,018,658 of us, are part of the mosaic that America is, each one of us needs to remain connected with the other to make us one nation under God. Unity Day USA is born out of the great tragedy and enormous suffering that Tuesday, September 11, 2001 brought to all of us, and it is from this day forward, that we, the Muslims of America pledge to continue to foster healing and unity. We are blessed in this endeavor with the support from people of all faiths. On this Unity Day USA, the People of every faith, race, ethnicity, culture, and every background has accepted our invitation to join us in sharing the power of prayer for peace, healing, unity and security of our country. Our faith is deed based, and as with all silent majorities, we follow our faith and strive to be the best we can. For the overwhelming silent majority of Muslims, Islam is about doing good things for mankind. Prophet Muhammad (pbuh) once explained, if you plant and nurture a tree, it will give fruit to all; that is charity. He told his associates to consider this as a good deed; doing things that will benefit the mankind. Indeed, this is the same message, every messenger of God in every faith has reiterated. As Americans we uphold, protect, defend and celebrate the values enshrined in our constitution. Our faith reinforces the creed of "One Nation under God, with liberty and justice for all." As Muslims, Islam enjoins us to be just and truthful, in thought, words and deeds; as well as be respectful of other religions while practicing the tenets of Islam. As Americans we cherish the constitution and the bill of rights. America is our home and our children’s future. Democratic norms are embedded in Islamic heritage. Prophet Mohammad did not designate a successor. It was not an oversight. He willed us to choose according to our best lights. Historically rulers have bent the religion to suite the powerful. The only way for a peaceful religion to flourish is in a democratic setting, without coercion. Freedom is a yearning in all-human souls. The quest of centuries for equality and justice led to the realization, that the only guaranty of individual freedom is to guaranty freedom for all, within a constitutional framework. It culminated in the pluralistic American democracy. American Muslim Forum celebrates and promotes Muslim participation in the rich fabric of American democracy, a beacon for the world’s downtrodden yearning for freedom and self-government. 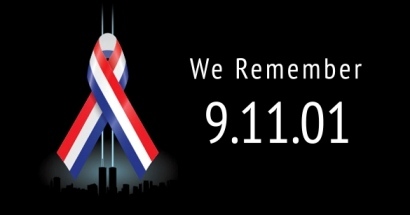 This day is the true American spirit of acceptance and friendship. To me as a Jew, this day is also in the spirit of words from our Jewish prayer book: "Our God and God of our Ancestors, we ask your blessings for our country - for its government, for its leaders and advisors, and for all who exercise just and rightful authority. Grant them insights into your Teaching, that they may administer all affairs of state fairly, that peace and security, happiness and prosperity, justice and freedom may forever abide in our midst. Creator of all flesh, bless all the inhabitants of our country with Your spirit. May citizens of all races and creeds forge a common bond in true harmony, to banish hatred and bigotry, and to safeguard the ideals and free institutions that are the pride and glory of our country. May this land, under Your providence, be an influence for good throughout the world, uniting all people in peace and freedom - helping them to fulfill the vision of Your prophet: "Nation shall not lift up sword against nation, neither shall they experience war any more" And let us say: Amen." What Unity Day means to me. As the world seems to spiral further into the abyss of violence and terrorism, the best way to counter this trend is for all people of good will to unite in a common desire to restore peace to the world. This can be done only if we as a people refuse to countenance a resort to violence except only for purposes of self-defense. Most, if not all, people of good will agree with this. The problems in the past have generally followed from the following. One group can see a threat from another group where no threat exists and each group has elements in it which do not operate from a basis of good will. As to the first problem, this can be corrected only by communication between the groups that will facilitate further understanding and acceptance, coupled within each group a willingness to be tolerant. As to the second, members of each group itself must do what they can to eliminate the unworthy influences in that particular group. If members of one group take action against members of another group who do not exhibit good will, then that action is often mistaken as action against a group as a whole, leading to the involvement in violence of people who otherwise act in good will. Unity Day means that we must all hear what all beliefs teach in this regard, and I suspect they are much the same. So, let us hear, let us understand, and, most important, let us live what we believe. Why unity day on sept.11, 2005? Why American Muslims should be initiating the observation of the day? It goes without saying that this was the day we 'felt unequivocally united' with our beloved country, the United States of America. We felt the impact of it in our hearts and minds. The sudden pain, similar to that of Pearl Harbor, united all Americans. It also signaled the world as we knew it, changed in many aspects very dramatically. The newly Americanized immigrants from all ethnic backgrounds, had been equally jolted in their hearts and minds. More so with the hearts and minds of Muslim immigrants who had whole heartedly adopted this country as their own. The feeling of belonging became intense, when those who caused the calamity were bearing Muslim names. The evil in their minds had to be exposed and fought against rigorously. Muslims in particular and ethnic immigrants in general felt the strong need to unite against this evil, which had annihilated thousands of innocent lives. This goes against deep rooted conviction instilled in our hearts by the very tenets of our faith which guides our lives; that killing one human being is like killing the whole of humanity. Specially the Muslim Americans had to rise up against this evil with a strong conviction that we must take initiative to unite with all the people of United States. to stand up solidly behind our president and resolutely do everything to nip the evil in the bud once and for all. I am very glad that members of the American Muslim community have come together to organize this multi-cultural, interfaith event. The truth is that a lot of people have been asking where are the Muslim voices that speak out against terrorism, and that speak out as Americans. The idea of bringing together people from all faiths and cultures, finding common ground in our humanity, is a wonderful step in that direction. In my college fraternity I had to memorize a poem that has had a continuing influence on my life. I've pasted it at the bottom of this message. I think you'll see why. The Bridge Builder An old man, going a lone highway, Came, at the evening, cold and gray, To a chasm, vast, and deep, and wide, Through which was flowing a sullen tide. The old man crossed in the twilight dim; The sullen stream had no fears for him; But he turned, when safe on the other side, And built a bridge to span the tide. "Old man," said a fellow pilgrim, near, "You are wasting strength with building here; Your journey will end with the ending day; You never again must pass this way; You have crossed the chasm, deep and wide- Why build you a bridge at the eventide?" The builder lifted his old gray head: "Good friend, in the path I have come," he said, "There followeth after me today, A youth, whose feet must pass this way. This chasm, that has been naught to me, To that fair-haired youth may a pitfall be. He, too, must cross in the twilight dim; Good friend, I am building the bridge for him." Our mission is to actively participate in all spheres of American life and positively contribute towards peace, prosperity and security of our nation. May I take this opportunity to first express our heartfelt sympathies for the victims of hurricane Katrina. Our hearts goes out to all the people affected by this natural calamity. That struck our nation caused by misguided individual Muslims. These criminals didn't represent Islam and we condemn this and all acts of terrorism conducted by anyone in the name of Islam without equivocations or any reservations. Nevertheless their despicable and heinous act succeeded in creating distrust of American Muslims in the eyes of our fellow Americans, and thus a sense of us vs. them, a blow to our very welcoming and open society. American Muslims ever since 9/11 have tried to do their part to dispel this distrust. One common denominator among people of faith, which is true for most Americans, is belief in the power of prayer and reliance on their faith to overcome any number of hurdles in this life. This is the thinking behind organizing unity day by north American Muslims.